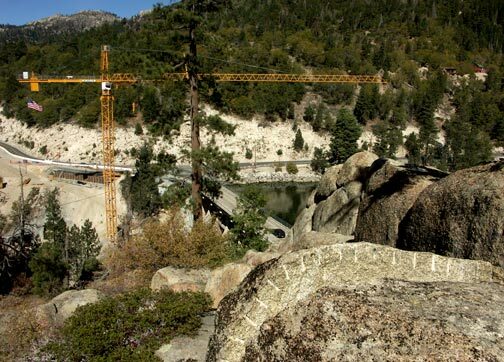 Ever since 1925, the majority of traffic entering Big Bear Valley has crossed over the old bridge currently atop the dam. It has served our valley well. 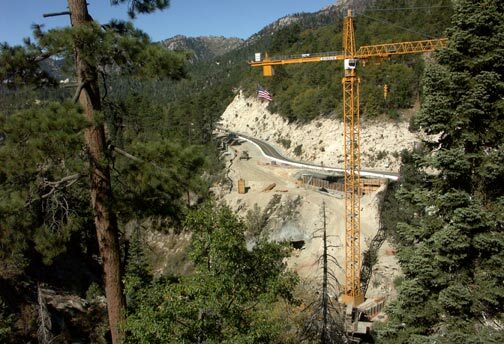 Construction began in April 2009, on a new bridge that will replace the old existing bridge across the top of Big Bear’s multi arch dam as the main artery into Big Bear. This new bridge will completely bypass the old bridge and the dam. 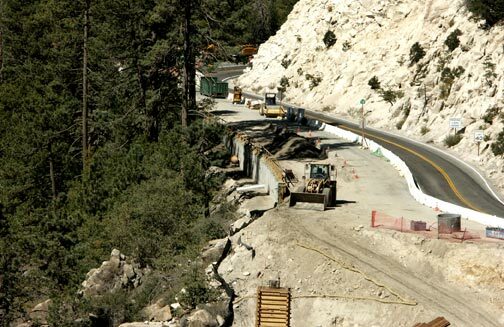 It is estimated that it will take Caltrans about two years to complete this project. 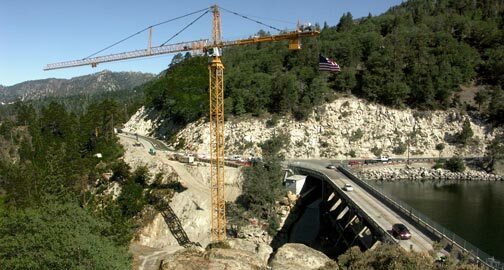 As of October 2009, most of the work on the new bridge was taking place along the highway and in the valley on the west side of the dam. 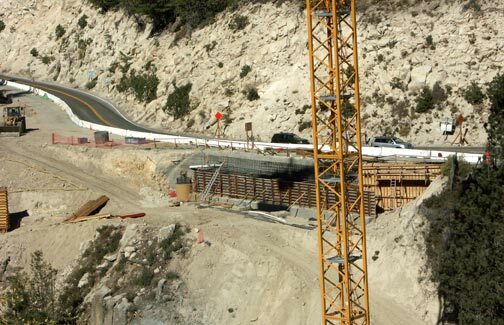 The following photos show the progress on the concrete foundations that will support the overpass.